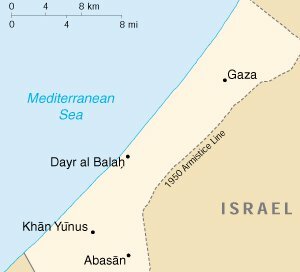 Gaza() On a quiet day of fighting in the West Bank and Gaza today only one Israeli teen was killed in a small skirmish. In a related story, only two youths lost their lives in North Birmingham. The Israeli youth was allegedly killed by Palestinian students during a supposed disagreement over the Israeli's right to pass near a local mosque. The cause of one Birmingham shooting was an argument over a football jersey while the other had unknown causes. The girlfriend of the second victim said it was about money but did not want to talk about it. . .
Mountain Brook() The event of the evening was billed as a friendly social gathering, but the scene that unfolded has rocked this bedroom community to its well-established foundations. When the exclusive Highlander Friday Night Supper Club began planning its "progressive dinner," in which members move to a new couple's house for each course of a meal rather than maintaining the more traditional single host for the night, club member Madge Kaplan says the planning committee was excited over the potential to enliven their monthly event. "Barb (Crenshaw) thought we should try and shake things up a bit as the excuses for missing the dinner were becoming more and more ridiculous," Kaplan remembers. "She suggested it at one meeting after Lydia (Cohen) said she and Don would miss the next supper because of the Doctors' Ball at Montclair. Don Cohen is not even a doctor. He's a radiological equipment sales rep." The committee got down to brass tacks, scheduling the event on the members' busy calendars, and making calls to Vincent's Market and Brody's for special orders. Unfortunately, the details of the night's itinerary must have become scrambled on club secretary Rosalind Daniels' notebook, because, as Mrs. Kaplan says, "two different couples were under the impression that they would be dessert." Club members arrived at the Mulry residence for soup and salad promptly at 6 p.m. and the night was filled with the sounds of laughter and the clinking of fine crystal. Things quickly soured when, during the soup (a light seafood chowder recipe Mrs. Mulry says her cook has been making for years), Mrs. Cohen asked Louise Freeman what 'goodies' she had planned for the club's dessert at the end of the evening. What happened next is any Mt. Brookster's worst nightmare. "I was mortified when I overheard," says club co-president Jackie Goldon. "I was supposed to be dessert. I had this elaborate bread pudding made and had bought some Portuguese brandy for the occasion." Both Mrs. Goldon and Mrs. Freeman claimed they had been scheduled for dessert. Attendees instinctively turned to secretary Daniels' notes, but they proved inconclusive and the bickering began. By the time everyone arrived at the Crenshaw's house for the main course, tensions were high. Trying to avert catastrophe, Mrs. Crenshaw's husband Leonard, of the Birmingham law firm Crenshaw, Knopf & Goldberg, suggested that the members hold a vote to determine whose house would be dessert. Mrs. Goldon readily agreed since, she says, "I felt that my sweets would definitely win over Louise's delicious, yet common pumpkin pie." 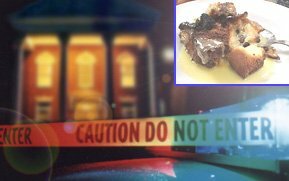 Mrs. Freeman's meek protests were quickly silenced, the vote commenced, and Mrs. Goldon's bread pudding came out the victor. According to police reports, everyone at the party thought that the impromptu exercise in democracy would be the end of the argument. However when Louise's husband Red, who had been drinking liberally throughout the night, returned from the bathroom to learn of his wife's snubbing and was asked by Mrs. Kaplan if he was "getting enough to eat", he allegedly smiled and said, "I'm saving room for dessert. Thank you." Though an uncomfortable aura remained, the dinner went as planned. Following Mrs. Crenshaw's main course, the group caravanned to the Goldon residence for the delicious bread pudding dessert. Barb Crenshaw physically withers as she describes the ensuing events. "Red burst through the door, stood on the table, removed his pants and ungracefully defecated on the bread pudding," Mrs. Crenshaw says. "Clint (Goldon), screaming bloody murder, grabbed Red by the hair and pulled him from the table. He shoved the bread pudding, feces and all into Red's face, and then pushed Red into the bathroom, slamming the door behind him." It's anyone's guess as to what happened behind that door, but sources say they could hear repeated toilet flushing and utterances of the 'F' word. After a few minutes Red Freeman emerged from the bathroom soaking wet with his belt in his hand and a towel around his neck. He quickly grabbed Louise and they fled the scene in their Suburban. Police arrived on the scene too late, reporting that they had been pre-occupied with an underage, drunk driver joy-riding in an official cruiser. Party goers waited nearly an hour, Mrs. Goldon politely begging and tapping on the lavatory door all the while, but Clint Goldon never walked out of that bathroom. The desperate and disturbed Mrs. Goldon was inconsolable by her friends or the police. The weekly supper club scene may never recover from this embarrassment. Phenix City() At their annual "Sportsmanship Ball" little league parents in Phenix City plan to bestow an honorary award to everyone's favorite big leaguer Roger "The Rocket" Clemens. After finally ridding themselves of the Tony Rasmus plague the locals are eager to adopt a new role model for themselves and their kids. Clemens was chosen to be that role model after many local parents identified with his antics during game two of the World Series. 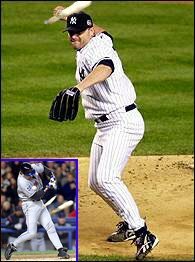 It was that game in which Clemens hurled a bat shard in the direction of Mets catcher Mike Piazza who, to Clemens' mind, had not been showing the proper respect by "going yard" on him game after game. It is the same lack of respect felt by Phenix City's Dan Hardin when Rasmus refused to start the proper players in certain games. "He kept starting the wrong players, and he showed too much favoritism to his own son. I approached him with a broken bat several times, unfortunately never thinking to throw it." One of those times apparently occurred before the final Little League World Series game which Phenix City subsequently lost to Osaka, Japan. Parents are unsure what effect this bat threatening had on the outcome of the game, but most agree that actually hurling the bat at Rasmus would have been a better move. "If the kids saw that then they would know how to win," said one parent. "You must direct your anger directly at your enemy and do everything in your power to bring them down. That is something that Rasmus did not do, he didn't make our boys hate the other team." With Clemens as their guide, Phenix City parents hope to return to the little league world series with a better attitude. "Now that we have seen what it takes to be a true champion, we feel that we were too soft on Rasmus in the first place," said parent Jerry Cohen. "We have already gone from 'sin city' to 'win city', and we don't want to go back." Following Clemens' lead should take us to the next level. That plane of existence that only true champions exist on." People across the state are anxious to see how much more notoriety these parents can bring to the historically maligned town of Phenix City.